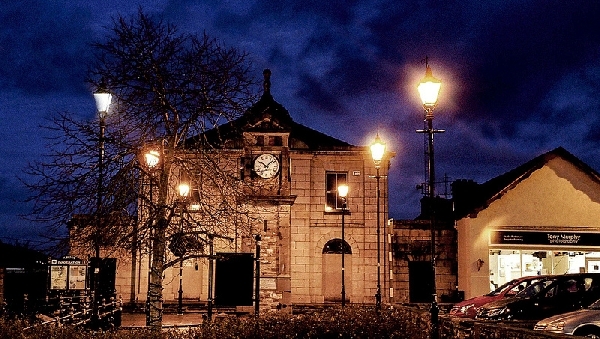 Much of the filming for Moone Boy took place in various locations throughout Boyle. The Moone Boy Trail is an interactive walking/cycling trail that guides you through all these locations. The Trail is accompanied with a FREE brochure (which you can pick up in Una Bhan Tourism in Boyle) or view here. 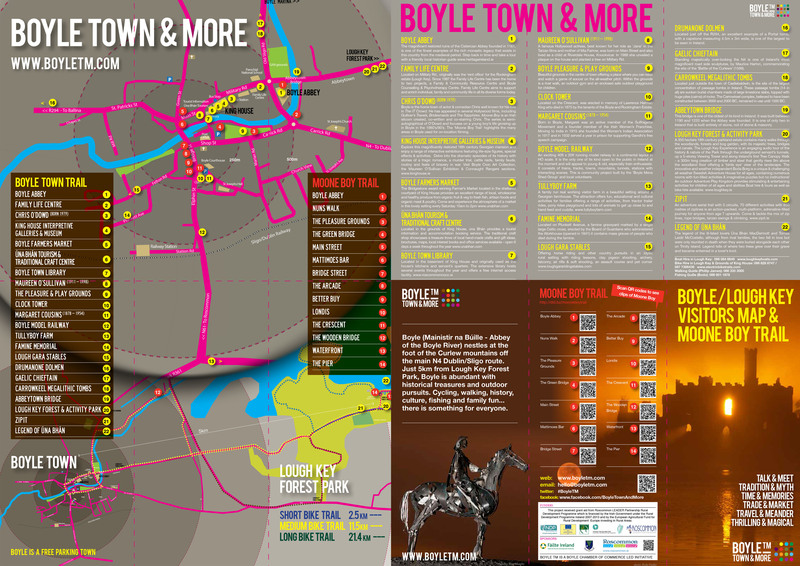 This brochure pinpoints the various locations around Boyle where filming took place. It also includes handy QR Codes. QR codes can be scanned by using your mobile phone or Tablet (QR code scanning App must be installed on your phone or tablet) to show you edited footage of the Moone Boy series which is unique to each location.